Army Reserve Officers’ Training Corps (ROTC) combines college courses in military science with extracurricular training sessions to develop students to become Army officers. For committed Army ROTC students, upon completion of the program and graduation, cadets are commissioned as a second lieutenant (2LT) in the active Army, Army Reserve or Army National Guard. Enrollment is not limited to students interested in being military officers. Anyone interested in fine-tuning his or her leadership ability may participate in the program during the freshman and sophomore years. Participating in Army ROTC is an invaluable investment in one’s future. The Red Hawk Company is a member of the No. 1-ranked Fox Valley Battalion, which has its headquarters at nearby University of Wisconsin-Oshkosh. 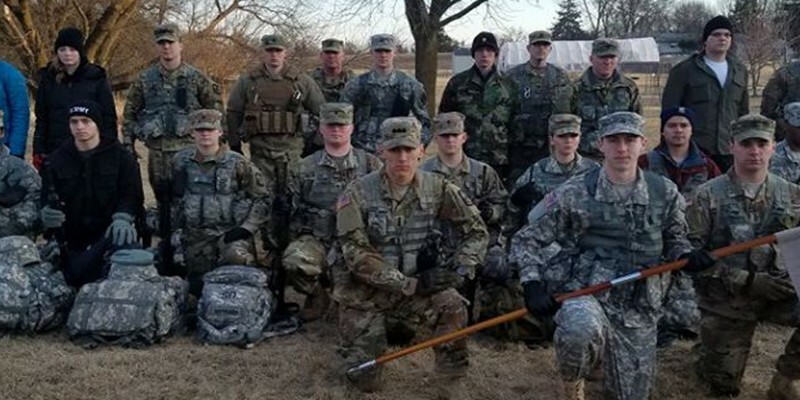 Other members of the Fox Valley Battalion include: Lawrence University, Marian University, St. Norbert College, University of Wisconsin-Green Bay, and University of Wisconsin-Oshkosh.